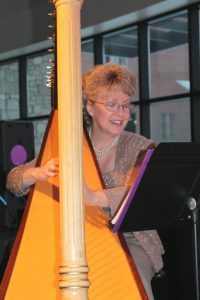 Serena O’Meara is a full-time Professional Harpist and Harp Teacher residing in Eau Claire, WI. Serena makes Weddings, Receptions, Rehearsal Dinners, Parties, Private or Corporate events sparkle with the sounds of her harps. She is also a private teacher to over 35 students and directs several harp ensembles.